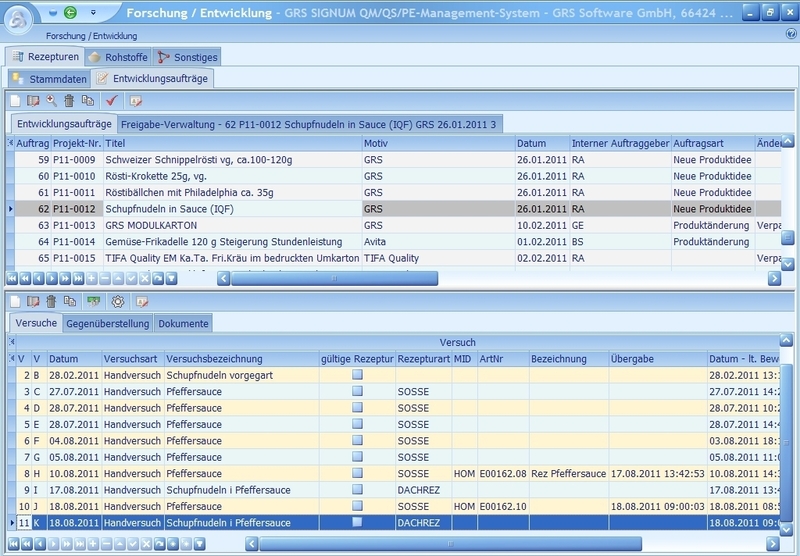 Product development is an optional module of the GRS SIGNUM software which allows depiction of all processes, tasks and operations. Added to that, you can generate new recipe versions and receive an overview on recipes, their raw materials, ingredients and other details. 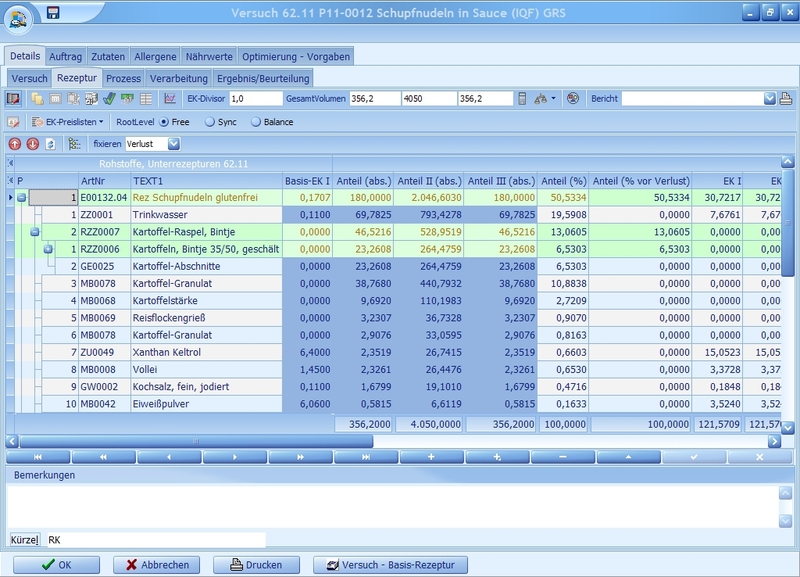 It does not matter how many sub recipes you have; with GRS SIGNUM, the computation of raw materials and ingredient compositions, nutritional information, GMO and allergen contents as well as meat values becomes a feasible task. Store any number of supplemental documents including raw material specifications, analysis records and compliance test documents for each recipe or each raw material as well. Define the structure of your raw material tests and your recipe development orders and record the success or failure of each test. Analyze the results of your tests thoroughly and comprehensively. 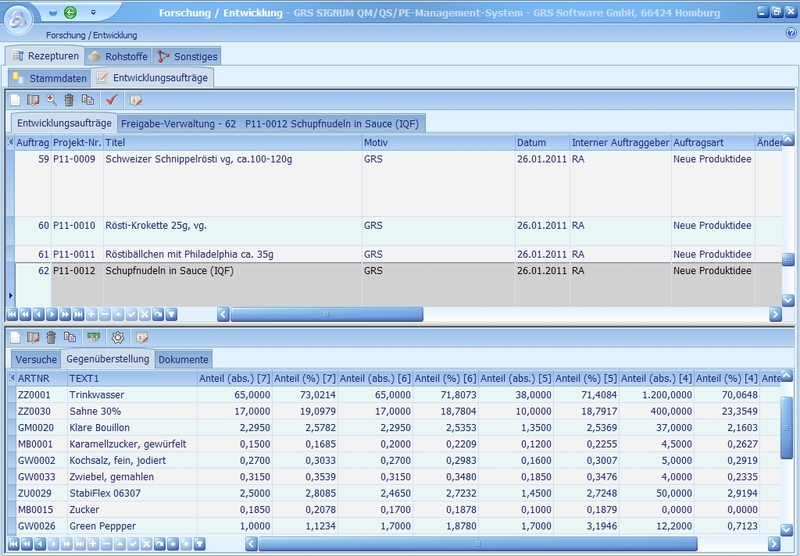 With the integrated ReportDesigner, everything is possible.